Ants are crawling out of the sidewalk cracks in little brown volcanoes. The crab apple blooms have long since opened, broken free and floated to yards far away. Dogs are high-stepping from blistering concrete to cool grass. Something is up. I think its called “Summer”, even though the calendar says April. When the heat rolls into town, it’s best to roll out the Mexican food. 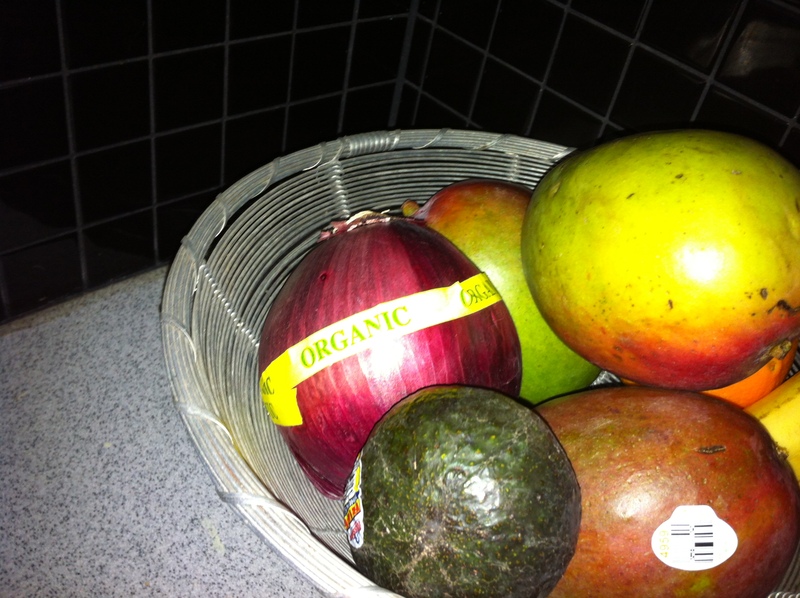 Here is a slap-it-together recipe that seems perfect when you use heirloom tomatoes from the Farmer’s Market, organic avocados and onions from King Soopers (take it easy, I have a tiny budget, y’all) and Mangos, a buck each at Sprouts. You can call them Bueno Logs or Peros Mangos or burritos if you are ‘just not into the name thing’, but they really work in a Boulder back yard with the smell of lilac and cut grass everywhere. 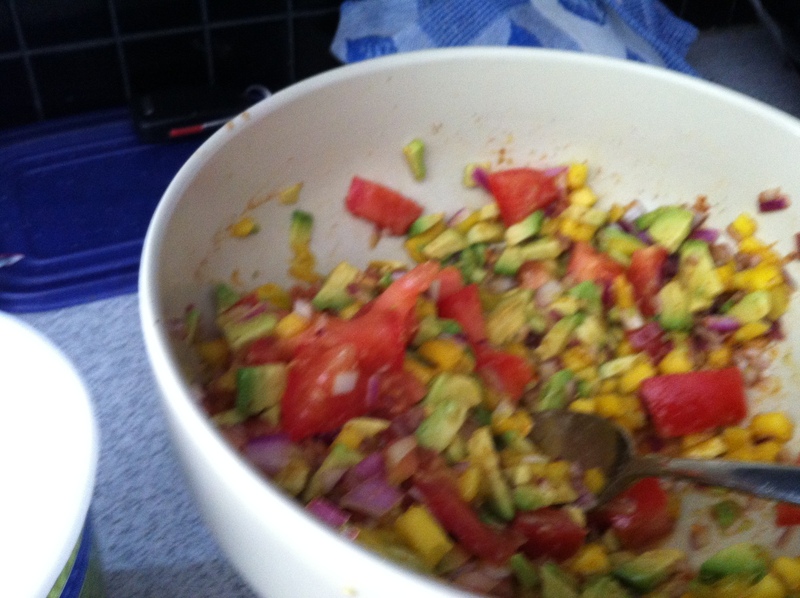 Dice 2 fatty tomatoes, 2 slightly soft avos, 2 faintly cushy mangos, and ½ a red onion. Throw in bowl. Toss in a shot of good anejo tequila, since it’s 5 o’clock in Ixtapa. Add in 10 or so leaves of freshly chopped mint leaves that you have harvested from your side yard (the same side yard you kind of neglect and hope your neighbor isn’t too chafed by) and while you are at it, squeeze in the juice of 2 nice, green limes, and top it all with a teaspoon or more of cumin, salt and fresh cracked pepper. Plump and juicy? Oh yeah. 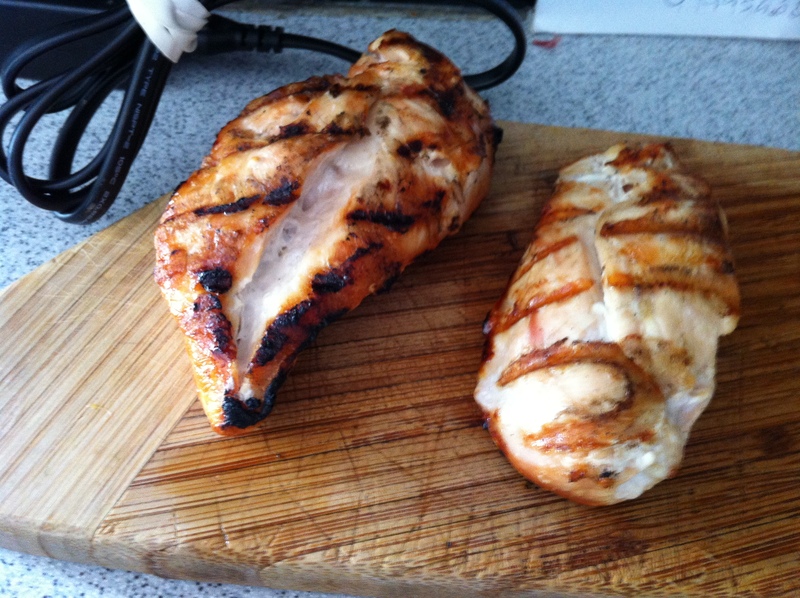 While you were doing all of that, you had a helper throw a couple of boneless, skinless, free-range chicken breasts (lightly seasoned with adobo powder from Savory Spice) on the medium hot grill, didn’t you? Yeah, well see to that. And take the rings that you carved from a red and orange bell pepper, paint a little olive oil on them, and confine them to a grill basket on the very same barby. Chop the chicken, warm the tortillas you should have bought at Tortilleria Y Taqueria El Rey, and slather with Greek-style yogurt (why doesn’t somebody make this locally?) 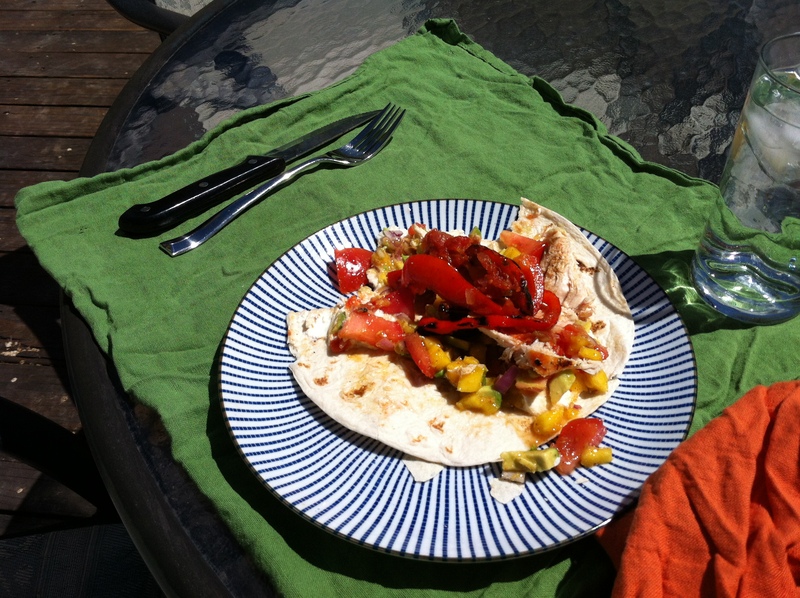 or sour cream; deal the avo-mango-onion slurry, grilled peppers and chicken into the tortilla and roll up. Settle in with a marg, a view of the Flatirons, note the balmy temps, and…eat. That’s what you do. All mixed up and one place to go. Yum! Sounds delicious and perfect for an outdoor meal! Nothing like eating outside. The recipe is a slight variation on a very common theme, but it’s good to remember how easy it is to make something tasty. Thanks, YF! Sounds amazing! I’ll be by at 5PM tonight so please have this colorful feast ready to go. Thanks! Perfect. Be sure to invite a busload of tourists to come with you. The more the merrier.